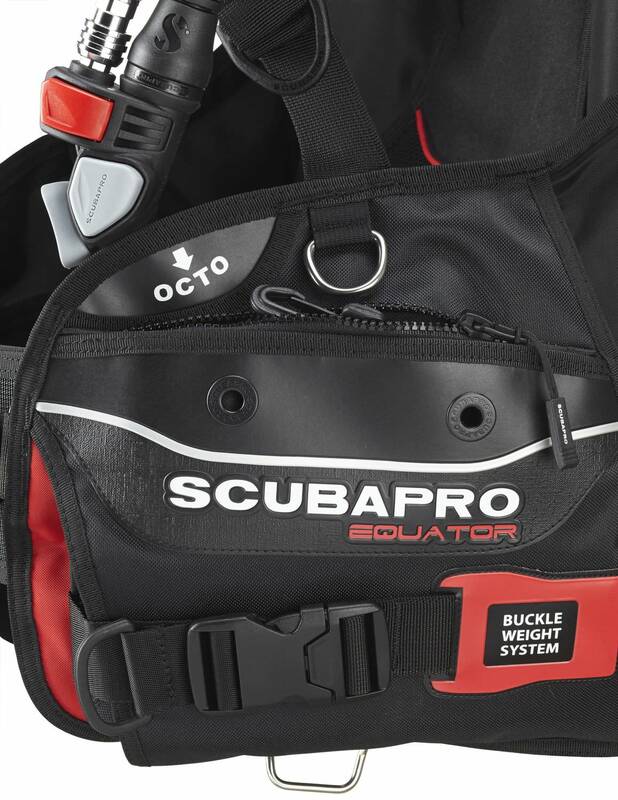 With the EQUATOR you can enjoy all the comfort and security of a full-featured front-adjustable BCD, along with the light weight and packability of a travel BCD. 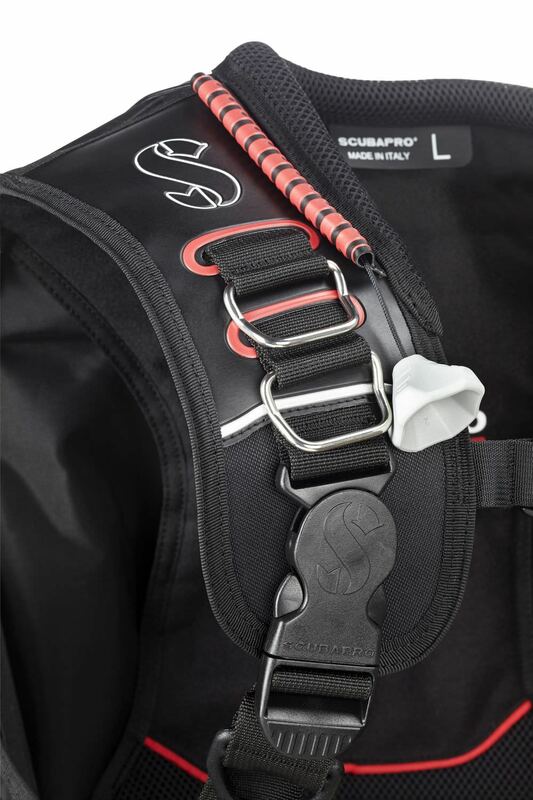 The easy-to-fold backpack doesn't scrimp on stability because the tank is secured by a lower primary tank band and Super Cinch stainless steel buckle plus an upper support strap, creating a rock-solid tank security system. 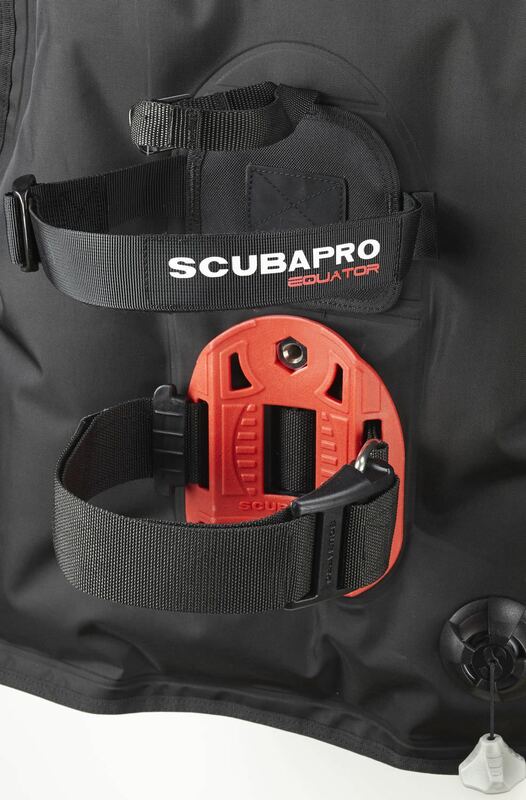 The integrated quick-release weight system is just as secure. Water-draining Airnet neck and back padding provide super comfort, and two large zippered cargo pockets and six stainless steel D-rings are provided for additional gear. 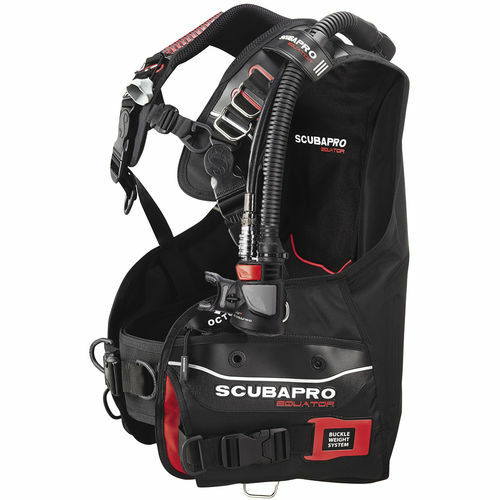 The EQUATOR comes fully equipped yet is compact and lightweight, making it the ideal choice for diving at home -- or anywhere.